Expert stone care and restoration services provided by experienced technicians. Terrazzo polishing and restoration. Icon Contracting is a second generation family business serving NYC and Long Island. We have successfully provided residential and commercial services to our clients for over 30 years. Quality workmanship and unmatched customer service are the foundation of our reputation. We strive to do everything we can to ensure that our customers are completely satisfied with our service. Every project is supervised by a member of our family ensuring each project gets done right the first time every time. 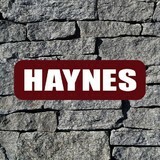 Grays Bridge Farm & Earth Products carries a full line of stone & landscape products. We carry monolith slabs & boulders, bulk stone, imported stone, and custom cut thinstone veneer(cut on site). We also carry many varieties of mulch, including organic, as well as sand, cement, gravel, and all of your masonry supplies. Cennamo & Sons Masonry has been providing Fairfield County Connecticut with all types of quality masonry construction for three generations. Well-designed and professionally executed masonry projects will increase your enjoyment of your home and your home's value. Cennamo & Sons brings to your indoor or outdoor masonry project the professional experience and craftsmanship needed to take your project from plans to reality, to build your vision within your budget. Connecticut Licensed and Insured, our customers are pleased to recommend us to their friends. Give us a call at 203-885-9786 to discuss the parameters of your project or to schedule an on-site evaluation and estimate. DiamondKote®, a division of AMT Enterprises, LLC is based in Middletown, CT. Since 1999, our mission has been to beautify ugly concrete for our customers while saving them thousands of dollars in replacement costs. Generally speaking, it costs about half the price to repair and resurface concrete than it does to remove and replace it. In addition, the finished look can be highly artistic. In some cases, when the repair costs approach the cost of replacement, DiamondKote®, can perform this task as well. DiamondKote® services include interior and exterior concrete repair, resurfacing, and decorative & artistic refinishing. Our concrete treatments can range from a small residential stoop repair to a heavy duty industrial traffic floor coating. Other services include architectural stone repair, such as limestone, brownstone, or granite and the application of state of the art concrete waterproofing techniques. Whether you need a rock wall to enhance your property, a firepit to warm your patio, a built-in barbeque to accentuate your outdoor space, a meandering walkway through your yard and gardens, a stone deck for your swimming pool, or decorative landscape pebbles to spruce up your driveway or walkway, Gault Stone & Landscape Supplies has one of the largest stone selections for you to explore in either of our Fairfield County brick and stone showrooms. Our expert sales staff will help lead you down the right path, literally. We have hired the best professionals to help you every step of the way, from the incubation stages of a project through completion. Our staff is known for unparalleled customer service, and because each of our professionals has previous experience in the field, they are well-equipped to answer any questions, or even to act as a consultant. And now, you can turn to the same professionals you have come to rely on for stone and masonry supplies for generations for all of your fabrication needs. In our state-of-the-art 15,000 square foot facility, we are able to turn projects around with superior quality, on time, and on budget. No matter the stone, from standard materials to exotic ones, we can make bring your ideas to life. Gault Stone Fabrication is where twenty-first century technology meets the artistry of old-world stone craftsmanship. What’s more, Gault Stone has a proven history of being the premier choice for homeowners and contractors alike. Our materials have been used in thousands of projects throughout Fairfield and Westchester Counties, it’s no wonder that our business and homeowner clients keep coming back time and time again, and it is this heritage that has become synonymous with trust for over 150 years. .
Knockout Masonry Corp is a fully licensed and insured mason and concrete company specializing in top quality work. Our expertise in the field for over 10 years make for seamless projects and high satisfaction with our clients. 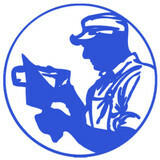 Knockout Masonry Corp. ensures our skilled craftsmen to perfect each and every job!